The perfect companion to any of our lanyards, this Mylar pouch is an ideal solution for displaying credentials or business cards. Compatible with either J-hook or bulldog clip attachments. 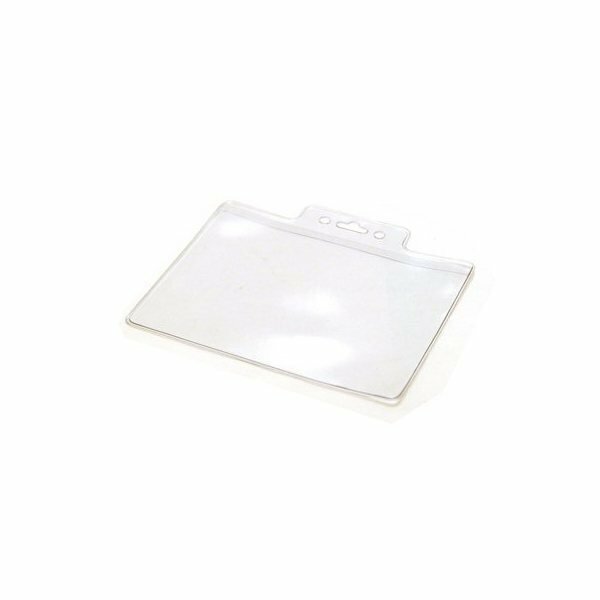 An essential item for holding convention badges it features a transparent design and is designed to hold a 4 1/4" x 3" card. Print these pouches with your company name and logo or leave them blank for general use. ordering more in the future! They showed up just as I'd wished after I initially purchased them. High quality! Looks great with our brand on it. the client was happy with the product.